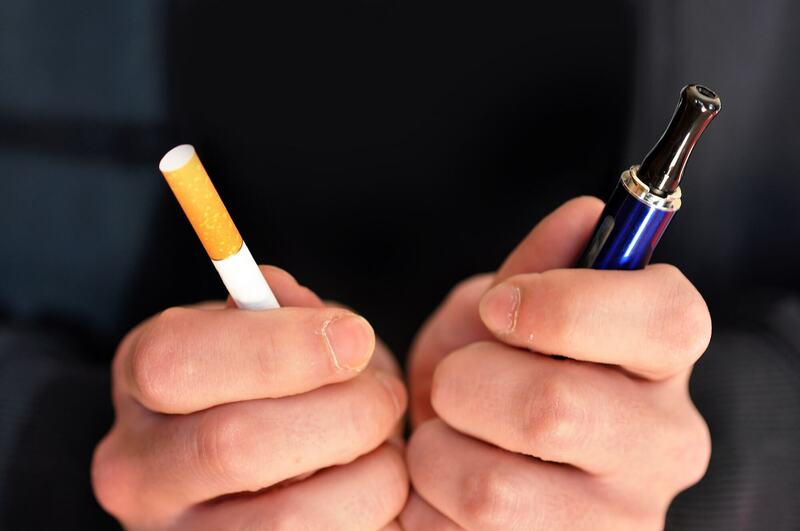 HealthDay News — From 2012 to 2017, the proportion of U.S. adults who perceived electronic-cigarettes to be as harmful as or more harmful than cigarettes increased, according to a study published online March 29 in JAMA Network Open. Using data from the Tobacco Products and Risk Perceptions Surveys (TPRPS) and the Health Information National Trends Surveys (HINTS), Jidong Huang, Ph.D., from Georgia State University in Atlanta, and colleagues examined how U.S. adults perceive the harms of e-cigarettes relative to cigarettes and the change in perception from 2012 to 2017. The researchers found that from 2012 to 2017, the proportion of adults who perceived e-cigarettes as less harmful than cigarettes decreased from 39.4 to 33.9 percent in TPRPS and from 50.7 to 34.5 percent in HINTS. From 2012 to 2017, there was an increase in the proportion of adults who perceived e-cigarettes to be as harmful as cigarettes, from 11.5 to 36.4 percent in TPRPS and from 46.4 to 55.6 percent in HINTS. There was also an increase in those who perceived e-cigarettes to be more harmful than cigarettes, from 1.3 to 4.3 percent in TPRPS and from 2.8 to 9.9 percent in HINTS. “Our results underscore the urgent need for accurate communication of the scientific evidence on the health risks of e-cigarettes and the importance of clearly differentiating the absolute harm from the relative harm of e-cigarettes,” the authors write. Several authors disclosed receiving funding from Pfizer.